Henry Melchior Muhlenberg (1711-1787) was a prominent American Lutheran pioneer pastor, church planter, organizer, administrator, liturgist and chronicler. Sent by Halle Pietists in 1742 to counter Moravian incursions among German Lutherans in Pennsylvania, Muhlenberg succeeded in quickening and galvanizing Lutheran self-consciousness and uniting communities into a synod by codifying religious practices during his 45 years of service. Born in Einbeck, Germany, Muhlenberg was educated at Göttingen University, where he experienced a personal religious awakening. During a brief teaching tenure at the Francke Foundation in Halle, he became an ardent pietist, aspiring to go as a missionary to India. He was ordained in 1739 and served as assistant minister and director of the orphanage at Grosshennersdorf from 1739 to 1741, before he accepted the call to go to Pennsylvania. During his brief visit to the Salzburgers in Savannah, Ga., in 1742, he was greatly disturbed by the practice of slavery and commented: “This is a terrible state of affairs, which will entail a severe judgment” (The Journals of Henry Melchior Muhlenberg, Vol. 1). Later in Philadelphia, he baptized African slaves and refused to take a slave given to him, but he implemented no measures to abolish this inhumane practice. The detailed journal he kept is a prodigious source of information about early U.S. Lutheranism. After arriving in Philadelphia on Nov. 25, 1742, and confirming his call in the congregations he was to serve, he focused on dealing with the vagabond preachers who had arrived in Pennsylvania, especially Count Nikolaus von Zinzendorf, who was striving to form a pan-German Protestant church. Muhlenberg forced Zinzendorf to relinquish his hold on the Lutheran congregations in Philadelphia. On April 22, 1745, he married Anna Maria Weiser, who proved to be a great collaborator and a prime reason for his achievements. 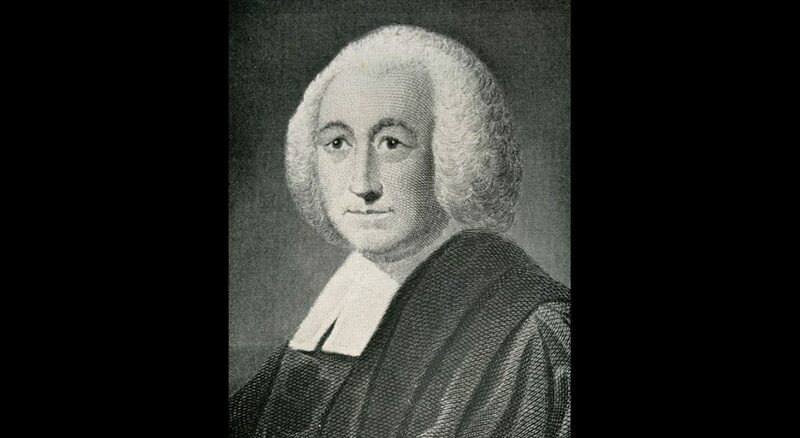 As an ardent pietist, Muhlenberg insisted on a personal conversion experience, faithful Christian living, diligent study of the Scriptures, and the regular use of the two sacraments. He stressed the necessity of the preacher’s own conversion. Because of his pietist leanings and the close connection he maintained with Halle, pietism had a dominant influence among early Lutherans during the Colonial and Early National periods. Muhlenberg saw the church in the U.S. as ecclesia plantanda, “the church must be planted.” He believed it must become an American church, not a replica of the European Lutheran church. He gathered scattered people together into congregations. His growing reputation as one who could respond constructively to difficult situations resulted in him functioning essentially as the bishop in the New World, settling disputes between pastors and congregations and differences within congregations. Eventually, he was in charge of 80 congregations, serving churches in Pennsylvania, New York and New Jersey. The pastor had incredible skill and flair for organization and administration. He prepared a liturgy with the help of two other German pastors, Peter Brunnholtz and John Frederick Handschuh. Honoring diversity, he chose portions from a variety of Lutheran liturgies so all traditions had a place in the new liturgy. He even acquired 59 acres in Philadelphia County for a seminary, though this vision did not materialize. But his most significant accomplishment was the creation of the synodical form of church polity in 1748. The German Evangelical Lutheran Ministerium of Pennsylvania and Adjacent States claimed no legal power over the congregations and wouldn’t intervene in internal congregational matters unless both sides of the dispute consented to arbitration. As the ministerium’s president, Muhlenberg never asserted authority over his fellow ministers, nor would he ordain anyone without the synod’s consent. Muhlenberg encouraged and sustained an ecumenical attitude. He preached and offered pastoral service to Swedish Lutherans, Reformed, Anglicans and Presbyterians. In fact, his first sermon in North America was to Presbyterians. He was very much at home with the Great Awakening that was in its peak when he arrived in 1742, and he maintained a good relationship with both the Presbyterian Gilbert Tennent and the Anglican George Whitefield. He invited Whitefield to preach at the confirmation service held in conjunction with the ministerium’s meeting in 1760. But, as a faithful Lutheran, he had a problem with Quakers for their disdain for the external means of grace and with Baptists for their disdain for infant baptism. Muhlenberg defended himself as a loyal adherent to the Book of Concord, and yet he remarked that “orthodox preachers often tried to adhere to the unaltered Augsburg Confession with unaltered hearts” (The Journals of Henry Melchior Muhlenberg, Vol. 2 and 3). When Muhlenberg died in 1787 he left behind a church that was both demonstrably Lutheran and American. He certainly deserves to be called the founder of North American Lutheranism. Vethanayagamony is associate professor of modern church history and director of the Doctor of Ministry program at the Lutheran School of Theology at Chicago.